The activation will be done on the basis of a filled application form. Application forms are available and are given over in the Cash office for the Sázava hall of residence and by the Manager or the Housekeeper for the Volha hall of residence. The rules for the service usage are set in the contract conditions stated in the accommodation contract. Prices are set by the Pricelist of telephone-calls of UCT - AUF. The person having accommodation at the UCT hall of residence can apply for a phone extension activation with capacity of connection to the public networks. After the approval of correctly filled in application form, you will be given a PIN number. Prices are given in "the Pricelist of telephone-calls for the Institute of Chemical Technology – AUF", UCT Prague reserves the right to change prices in accordance with changes made by public telephone providers. Payments for calls can be made for individual calls or monthly with the accommodation payment. Whereas it is always necessary to pay the price for realized calls with a payment of the accommodation for these months: November, March, June and August. On termination of the accommodation contract (checking out) the person having accommodation is obliged to cover all calls and payments. After it the PIN is automatically deactivated. 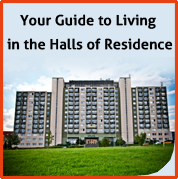 This procedure is applied even if the person asks for deactivation of the PIN during his stay at the halls of residence. The PIN must be kept secret. In case of disclosure the person having accommodation will have to bear the consequences of paying for the calls made on the account of the disclosed PIN. You are given PIN 123456 and you want to call 222 222 222. After picking up the receiver you dial *52 and then your PIN 123456 and you will hear the dialing tone. Then dial 0 for calling outside the hall of residence and the target number 222 222 222. Example: If you want to call for the Volha line 7777 you would dial 697777 on your phone. Your PIN provides you possibility to make calls outside the hall of residence from any telephone. Statements of account for phone calls are made in the Cash office for accommodation charges in the Sázava hall of residence.